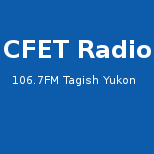 Weekly environmental news on Canadian community radio. Canada's Estonian-speaking community now has its own radio program featuring popular music in the Estonian language. Rock 101 CFMI Rock 101 (CFMI FM) is a Vancouver BC based radio station playing classic rock and the greatest hits of the 70's, 80's and 90's. Radio Ecoshock presents the latest science, authors, issues - from climate change, oceans, forests, pollution, Peak Oil, the economy and peace. The Griz Rocks! The Griz's finest choice of Rock, Oldies and R&B.